Listen to "The Wall: A Novel" on your iOS and Android device. The bestselling author of The Debt to Pleasure and Capital returns with a chilling fable for our time. Ravaged by the Change, an island nation in a time very like our own has built the Wall-an enormous concrete barrier around its entire coastline. Joseph Kavanagh, a new Defender, has one task: to protect his section of the Wall from the Others, the desperate souls who are trapped amid the rising seas outside and are a constant threat. Failure will result in death or a fate perhaps worse: being put to sea and made an Other himself. Beset by cold, loneliness, and fear, Kavanagh tries to fulfill his duties to his demanding Captain and Sergeant, even as he grows closer to his fellow Defenders. A dark part of him wonders whether it would be interesting if something did happen, if they came, if he had to fight for his life . . .
John Lanchester-acclaimed as 'an elegant and wonderfully witty writer' (New York Times) and 'a writer of rare intelligence' (Los Angeles Times)-has written a taut, hypnotic novel of a broken world and what might be found when all is lost. 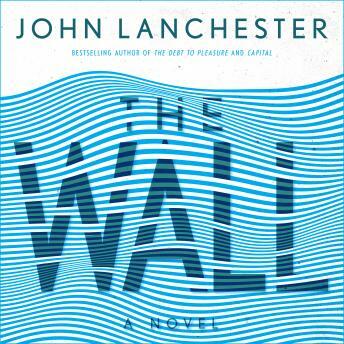 The Wall blends the most compelling issues of our time-rising waters, rising fear, rising political division-into a suspenseful story of love, trust, and survival.